Being a Senior Project Manager at i.d.e.a. comes with a multitude of daily tasks, but I have to say my favorite is picking the office beer. Yes, I have been crowned the beer queen in the office (I may or may not have designated that title to myself) and have the power to pick the ice-cold suds we get to sip on each week. 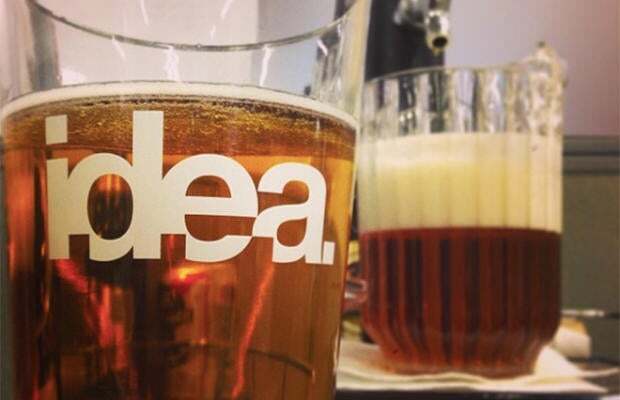 Since the start of i.d.e.a., “4:45 Fridays” have been a long standing tradition and an integral part of our culture. We finish up our work early, enjoy a beer or two, hang out with one another and talk about non-work related things (or at least try to!). It’s been something I’ve enjoyed over the past four years, not only because I appreciate free beer, but it has lead to great friendships and fosters better chemistry in the office. So if you are lucky enough to visit at i.d.e.a. on a Friday, stick around for 4:45 Friday and enjoy some of our all time favorites – Fall Plenty for All, Modern Times Oneida, and Ballast Point Longfin Lager.